This fashionable and functional beach chair will be the best companion in your travel.A much higher size will bring you extra comforts. Detachable armrests can fit your different preferences. Premium PVC coated Oxford cloth is with high strength and durable, and easy to clean. 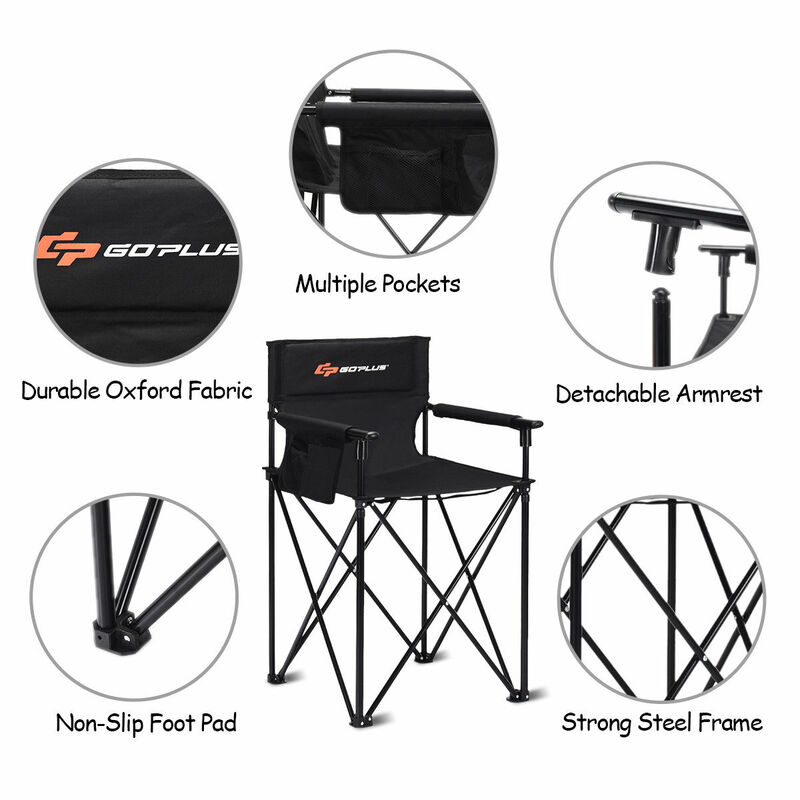 Lightweight and foldable design makes it a portable chair for you to carry anywhere. With storage pockets and cup holder, you can easily keep your essentials and beverages at hand. Solid frames and anti-skip feet can well ensure stability and safety while withstanding a great load. You may use this versatile chair both at home and outdoor as you like.If you are finding a beach chair, just add this one to your cart!